The SIGGRAPH Asia submission system will provide you with the tools to submit your application post-acceptance if you need to apply for registration discounts. Having done so, you will receive your discount codes prior to the conference, as it has been done in previous years. The basic recognition policy is based on a percentage discount off the early (ACM SIGGRAPH Member) registration fees for whichever registration category the presenter or volunteer chooses (regardless of when registration is completed), according to the following table. 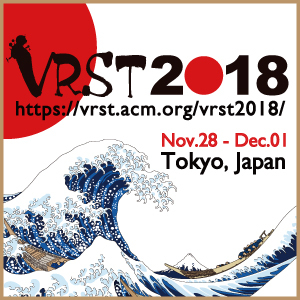 To register as a student and receive a discount off the student member registration fee, the contributor must be a current student member of ACM or ACM SIGGRAPH. In order to realize your registration discount, you need to register through the SIGGRAPH Asia 2018 Online Registration System. Registration discounts will not be granted onsite. You will be advised on online registration deadlines in your acceptance email. In addition you can also apply for travel reimbursement of up to USD $1,000. Only presenters whose permanent residence is outside of Tokyo, Japan can apply for travel reimbursement. *You will also receive up to four Experience Program Exhibitor Badges during check in for you to be able to enter the hall before official hours.